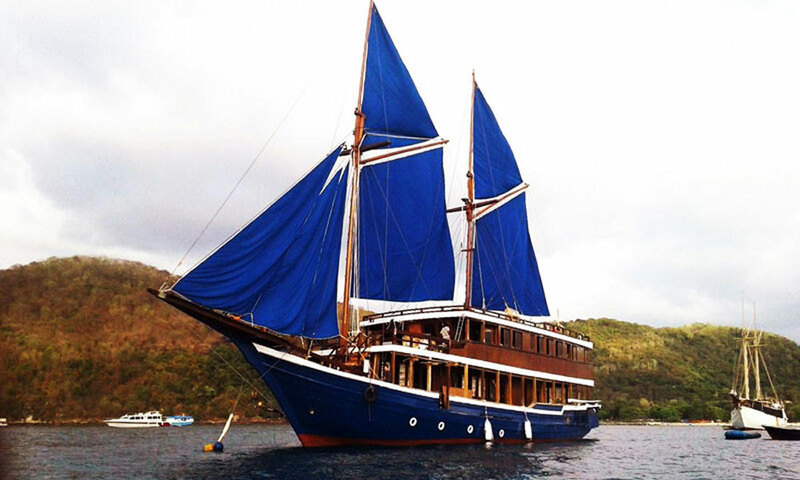 MV CAJOMA V Phinisi is a traditional Indonesian Phinisi luxury liveaboard built 2017, year round trip to Komodo National Park - Alor - Banda - Ambon - Misool - Raja Ampat - Saumlaki or route are adjustable to customer request. Dive platform are convenience, comfortable and safety which every diver needs! Leisure trip will be accommodated feel enjoyed the paradise discovering at the sea. With capacity 20 guest in 7 elegant cabin with en-suite bathroom. Spacious dining room and bar area. The upper deck or the top deck area is the exactly area to sightseeing, enjoy the wind with incredible view. Free flow non alcoholic drink & snack bar are provided. Enjoy a variety of healthy meals based on a mixture of Indonesian, Asian and European cuisine freshly prepared by on board chef. Fresh seafood will be a major component of the menu. 2x Compressor Bauer Poseidon P250, 50x tanks din/yoke, weights, weight belts, Dive Equipment, Snorkeling gears, 2x Tender 40 PS engine, there are 12 crews on the boat, dive guide.